Announcements are flying around San Francisco like electrons around a Uranium nucleus. I am here for a few days as a guest of Oracle to receive a comprehensive briefing on the company’s products and directions (more on that soon) and if that was the only thing going on it would be substantial. 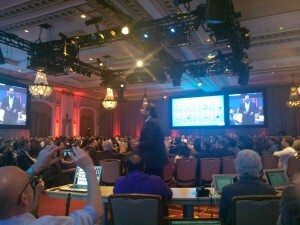 But today, Salesforce is making announcements that extend its marketing cloud with the addition of Social.com.